Welcome to Free Dental Clinic Guide. Our mission is to provide you with free up-to-date dental care information. Looking for an affordable dentist or dental care? The Affordable Dental Clinic guide below includes many resources and tips for finding free dentists or reduced cost dental care options. The Trick to great dental care is giving yourself great dental experiences so you can start enjoying visits to the dentist! Avoid diseases and conditions that contribute to compromised ability to bite, chew, and swallow foods; limitations in food selection; and poor nutrition. Take at least as much time trying to find a great dentist as you did looking for the right date in college. You remember, you never expected to find the perfect girl or guy on the first date. It was just a ‘get to know you’ experience. However, when we’ve resigned ourselves to finally getting to a dentist because it hurts, we take the first one who will see us. It’s not supposed to be that way! A good dentist will help you avoid conditions including tooth loss, diminished salivary functions, oral-facial pain conditions such as temporomandibular disorders, alterations in taste, and functional limitations of prosthetic replacements. Tooth pain, and pain, as a symptom of untreated dental problems and as a condition in and of itself, is a major source of diminished quality of life. A good dentist providing affordable dental care will help you avoid these pains and their associated sleep deprivation, depression, and multiple adverse psychosocial outcomes. Many report the impacts of oral conditions on social function include limitations in verbal and nonverbal communication, social interaction, and intimacy. Individuals with facial disfigurements due to craniofacial diseases and conditions and their treatments can experience low self-image and self-esteem, anxiety, depression, and social stigma; these in turn may limit educational, career, and marital opportunities and affect other social relations. 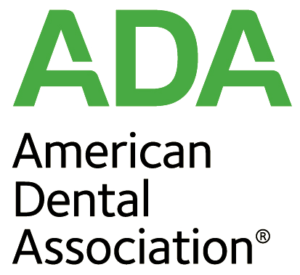 Be sure to check back often as we update Free Dental Guide regularly with new free dental care information.